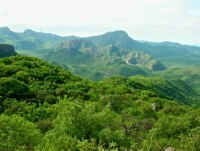 To assist in a land acquisition project aimed at protecting a rare tropical dry forest ecosystem in the Sierra de Alamos area of Mexico. The project area is in the Chuchujaqui watershed which includes tropical deciduous forest and oak-pine woodland. The ecosystems in the reserve are presently in excellent ecological condition, as is the Chuchujaqui river. Overgrazing from cattle ranching, agricultural forest clearing. This project provided supplies (field tools, fencing material, hardware, fuel and food) for park guards at Reserva Monte Mojino, a 12,000-hectare private reserve of Nature and Culture International (NCI) within Mexico's federal Alamos flora and fauna protection area. Matching and additional funds from NCI supported NCI's effort to acquire up to 25,000 acres (10,100 ha) to add to the reserve. 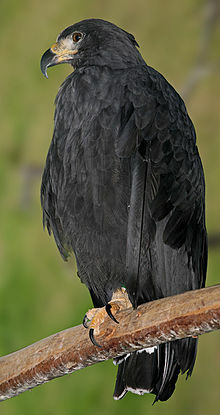 Sierra de Alamos hosts a pair of solitary eagles breeding at the northernmost edge of their range. The endangered Sinaloan cichlid probably still lives in the river, and several tree, orchid, reptile, amphibian and butterfly species are found nowhere else in the state of Sonora. Our partner is Nature and Culture International (NCI), which is partnering with the San Diego Zoo Global Wildlife Conservancy on this effort. This project was made possible by a grant from The Sitka Foundation. The larger effort, of which this is a part, includes land purchase as well as supporting CONANP, the Mexican National Park Service, to help develop sustainable management of the reserve. Related activities by NCI incluce developing and implementing educational programs on the importance of the reserve and its continued expansion, as well as the need to assure its fully sustainable use. Please see project details on Nature and Culture International's project page.